I wish I could describe in a few words how delicious and comforting this pudding is to me. 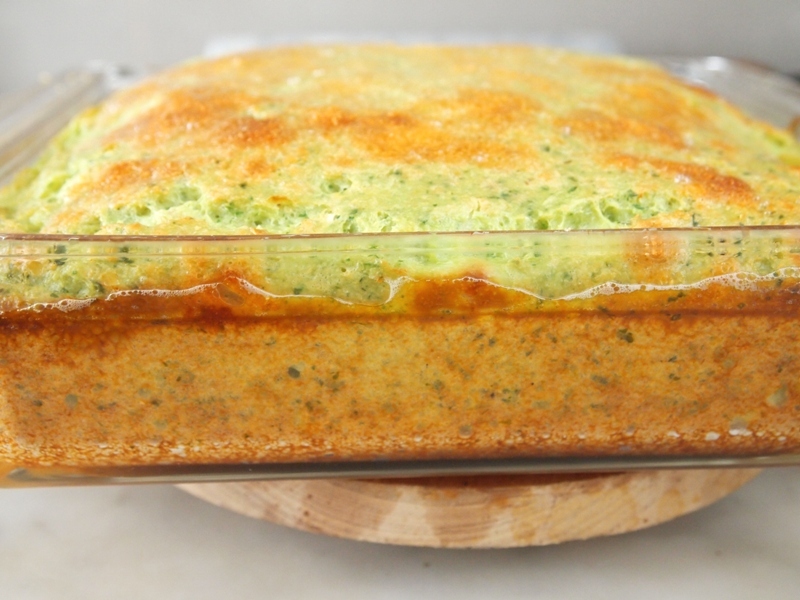 I call it “pudding“, because even though this recipe is very similar to the one used for tamalitos verdes, it is baked in a pyrex just like a pudding. Cooking it this way is easier and faster than making traditional tamalitos. 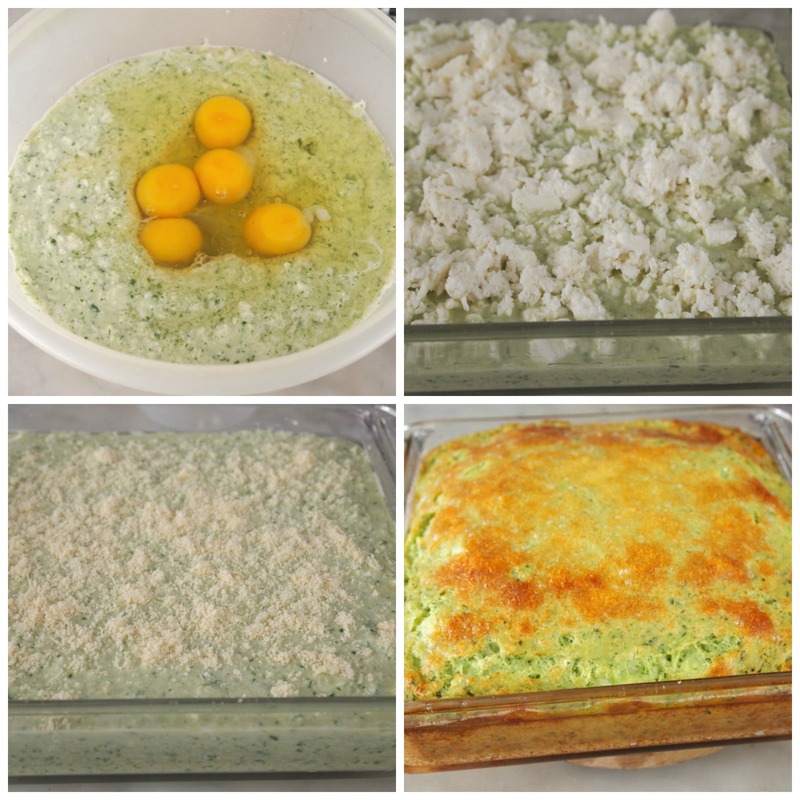 Another difference is that here I added eggs to the preparation and built layers with queso fresco. Sliced bell peppers or chili peppers, chicken or seasoned ground beef (like the one used for arroz tapado) would also make a tasty filling; and a sweet version with raisins and dulce de leche, (like humitas), would be a wonderful dessert alternative. White corn is the best for this pudding because we don´t need the sweetness of yellow corn, but if you can only find the latter, simply omit the sugar. Ideally you will use Peruvian giant kernel corn –choclo– if you can find it in the freezer section of a Latin American grocery store; otherwise, substitute with fresh white corn. 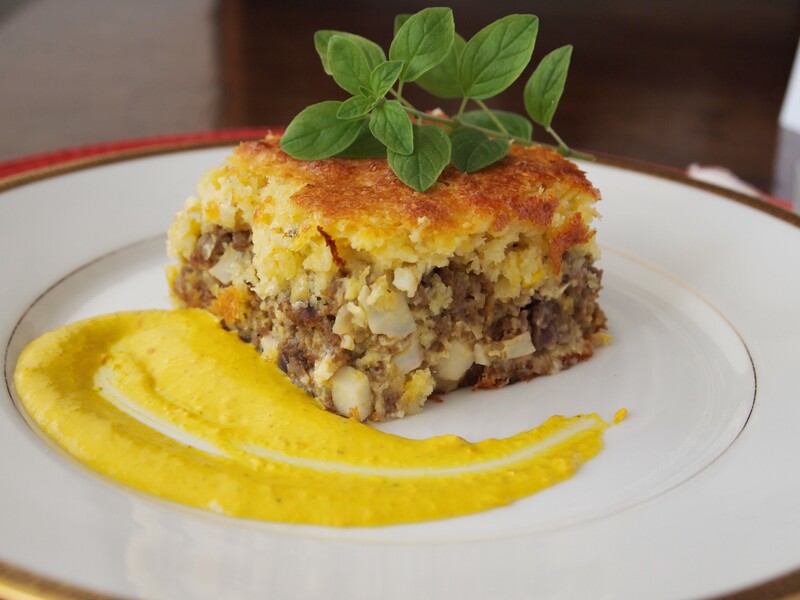 Try to find the most tender corn available, but it doesn´t matter if some of it is too ripe and starting to harden because it will add body and texture to the dish. To prepare, grate the corn or process it in a meat grinder or a food processor. Sometimes I start with the latter and use the blender afterwards to process the corn and cilantro with the water and milk. 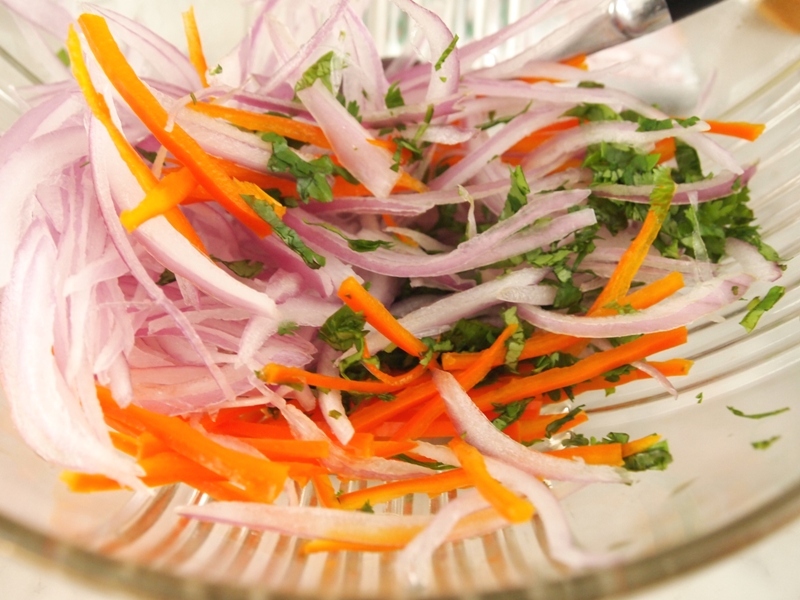 This gives it a finer texture, which is perfect for the tamalito. 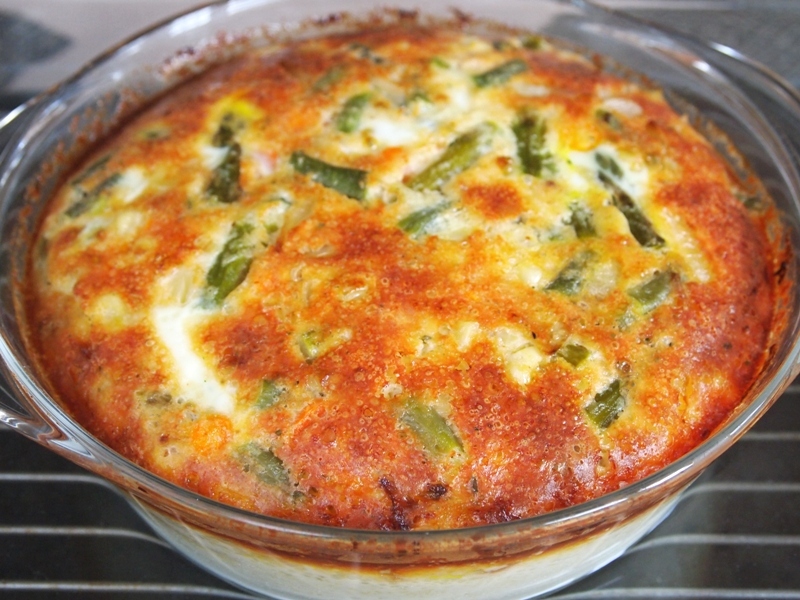 Sprinkle the top with Parmesan cheese before baking to get a golden brown crust. 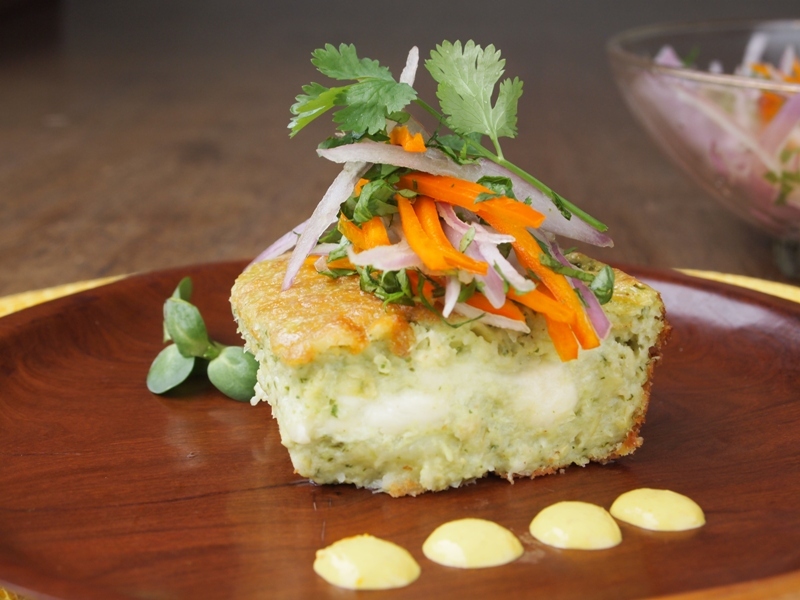 Serve with salsa criolla, just like it’s done with green tamales. 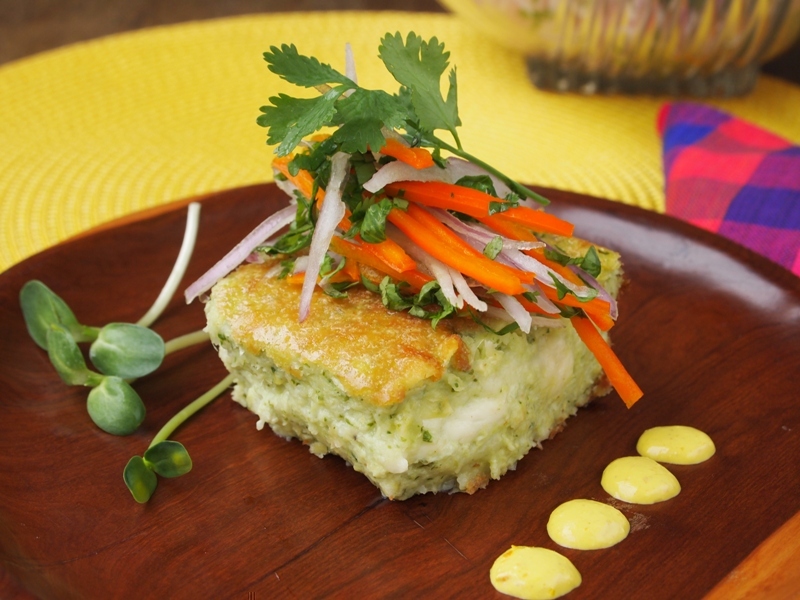 I also love to add some Huancaina sauce on top, because it is a wonderful way of adding and extra layer of flavor and a hint of spiciness to this wonderful appetizer. 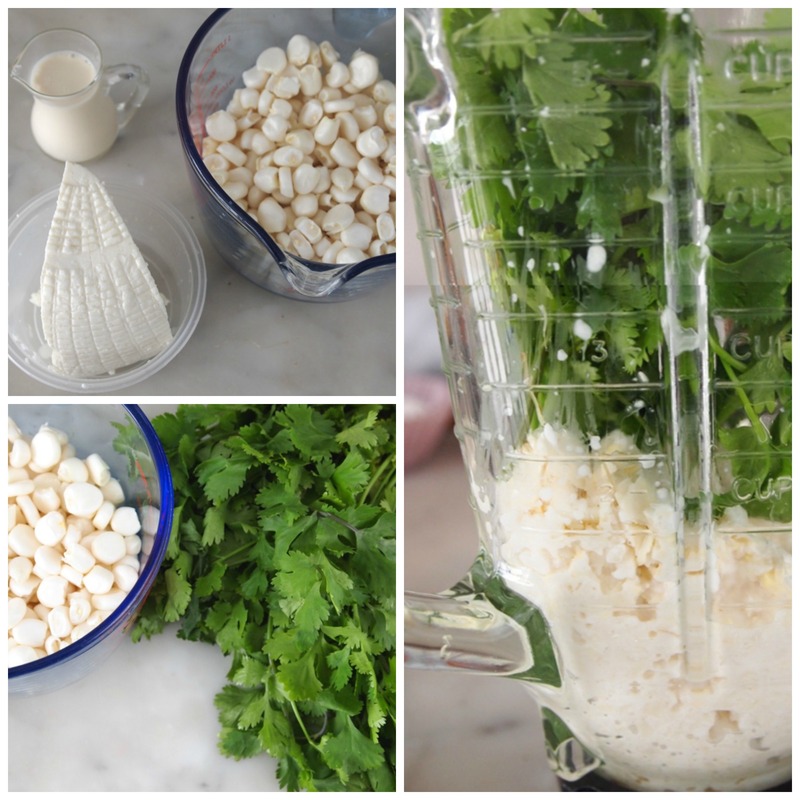 In a blender, process the corn kernels with the cilantro leaves and water. If necessary, add the Half & Half. You should get a smooth texture. Transfer the mixture to a bowl, add eggs, salt, pepper, and sugar, and stir to combine. Grease the bottom and sides of an 8" x 8" pyrex or baking pan. Pour half the corn mixture in the pyrex, add the grated queso fresco, and cover with the remaining corn.